T.G. has about covered the humidity issue. I've used both PG and HCM beads over the years. They both work OK, but beads give you the option to store slightly drier. The other possibility is that the cigars you bought were very young and are just going through a bad period in their aging process. So, I would let a few dry out a few days in the room and see if that helps. If not, you can wait a few months and try again. I buy cigars on line, and I've found some great deals (JR cigar, CI Cigars etc) and these were really great tasting smokes. But after about 6 mo. (I've got quite a few in my humidor) the great tasting ones become pretty vial tasting and unsmokable. I love this post! What a great question for this group. 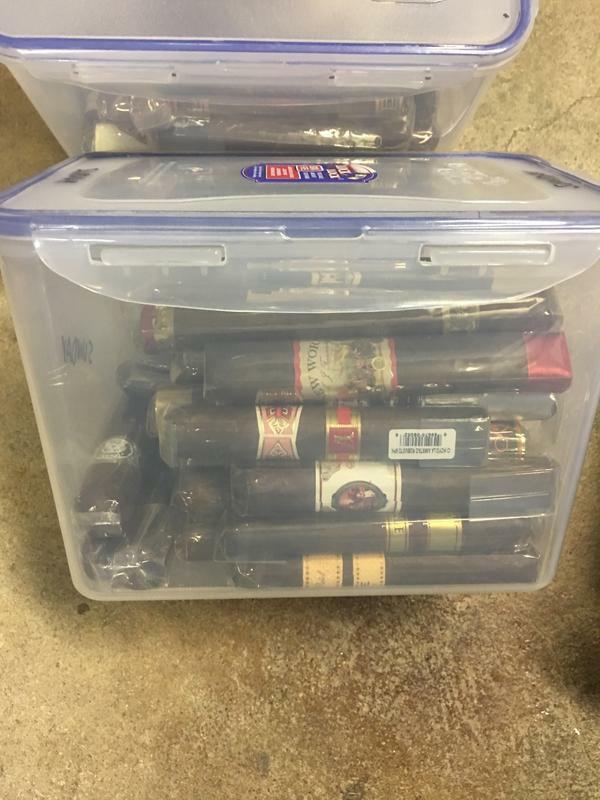 Many, many years of solving humidor issues here at CA. Welcome to the board, Roger. I didn't want to interrupt your question being answered but wanted to point out that you can post over in the New Inmate Processing Area to let us know a bit more about yourself. Also, there is a wealth of information in the "stickies" at the top of the forum. Welcome and I hope that you are able to get the flavor profile for those cigars back soonest. The coolidors are for longer term storage and I move cigars to smaller, more portable lock & lock boxes (air tight tubs, in other words...) to sit for at least a week @ 62 before smoking, works PERFECT for humidity! So what I'm wondering is, can anyone recommend any kind of material I can safely pack/stuff in to the tubs that will prevent the cigars from moving freely, but at the same time, also allow the air & humidity to be able to continue moving freely throughout the tub, as well as being neutral in smell/taste? I'm pretty sure they use glassine in some cigar boxes but that appears to be pretty expensive so I'm hoping you guys can suggest something else...thanks to anyone who provides any suggestions and/or info! Haha I like where your head is at! I prefer legit movie theater though, particularly with extra heart attack butter on top! Can you describe your cigar lock boxes, otter box style? You can check out the foam cigar trays or I just use the 5 finger bags from Michael, cigarnut, and just leave the ends open. With the bags at least, they are protected and you can stuff more cigars in the container without the loss of room from the foam. Lock & Lock boxes, basically seal at the top with 4 locks on each side to clamp the top down...the finger bags aren't a bad idea! I'll be sure to check the price on them, because they might just work....still open to suggestions though! Lazy to link from my phone, google foam cigar trays.